ACCL » Kirsh, Harvey J. 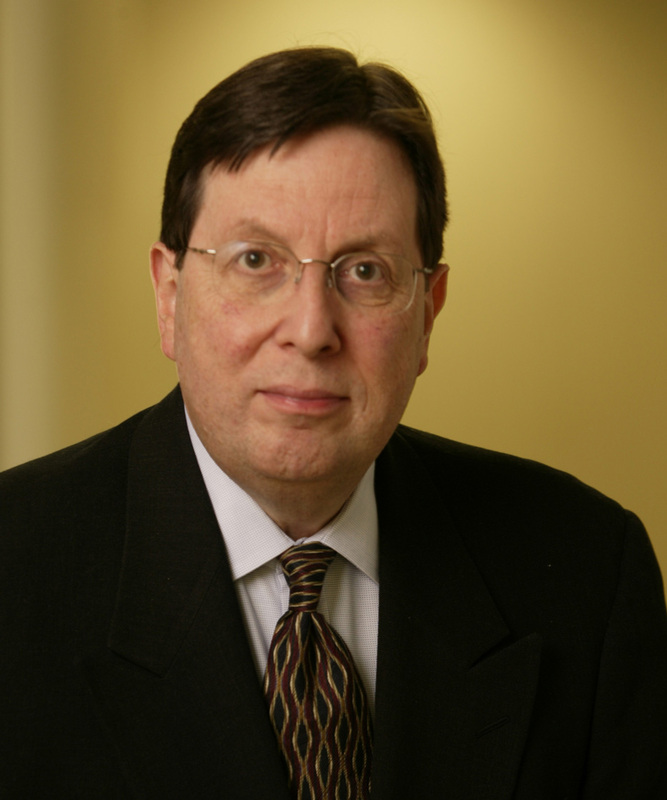 2009 to 2011: Chair of Construction, Engineering and Infrastructure Group of ADR Chambers Inc.
1984 to date: Canadian Construction Arbitration Services Ltd.
Harvey J. Kirsh is a recognized authority in construction law. He has been certified by the Law Society of Upper Canada as a “Specialist in Construction Law”, and has almost 40 years of experience in the litigation, arbitration and mediation of complex construction claims and disputes arising out of significant infrastructure, energy, resource, industrial, commercial, and institutional projects, both domestically and internationally. He has acted as legal advisor and counsel with respect many high-profile construction projects, including the Four Seasons Centre for the Performing Arts (home of the Canadian Opera Company and the National Ballet of Canada); the Greater Toronto Airport Authority (also known as Lester B. Pearson International Airport); the Niagara Fallsview Casino Resort; the Toronto Transit Commission’s $900 million Sheppard Subway; the 580-megawatt Brighton Beach Power Plant (Windsor, Ontario); the CANDU 9 nuclear reactor project (Bruce Nuclear Generating Station); Deerhurst Resort (one of Canada’s largest all-season luxury golf, spa, and family resorts, and the site of the G-8 Summit); the Marriott Toronto Downtown Eaton Centre Hotel; the Municipality of Metropolitan Toronto Archives; Northland Power’s 110-megawatt Iroquois Falls, Ontario cogeneration plant; numerous University of Toronto construction projects, including fiber optics installation program, Varsity Arena renovations, construction of student dormitories, renovation of law school, dental school facilities; Sunnybrook Health Sciences Centre; The Residences at the Ritz Carlton (luxury high-rise condominium and hotel), and a wide range of other facilities – both public and private – including bridges, transportation facilities, roads and highways, stadiums and arenas, water and wastewater plants, hospitals and healthcare facilities, court houses, manufacturing and distribution facilities, commercial office towers, high-rise condominiums and hotels, municipal projects, schools, shopping centers, and a range of energy projects including co-generation, electrical transmission, and nuclear facilities. He was designated as a Chartered Arbitrator in 1984 by the Arbitration and Mediation Institute of Canada Inc. (now known as the ADR Institute of Canada), and has both Canadian, U.S. and international experience as an arbitrator. His most recent experience as an ADR neutral includes claims arising out of the construction of an international crude oil pipeline, a nickel processing plant in Newfoundland, a Virginia cement finish mill, a Canadian armed forces base, sewage treatment plants in Halifax, a hospital in the Bronx, a brewery facility in the Maritimes, an oil refinery in Utah, a gold mine in northern Ontario, and a municipal water and sewage system in Brooklyn. He was also selected by NJ Transit and the Port Authority of New York and New Jersey to act as Chair of a Dispute Review Board, for both subsurface and surface contracts, relating to the construction of the $8.7 billion Mass Transit Tunnel from the suburbs of New Jersey to central Manhattan. Kirsh, H.J. (co-editor), The Annotated Construction Law Glossary (ABA Forum on the Construction Industry, 2010). Kirsh, H. J. (ed. ), Construction Liens Across Canada (Canadian College of Construction Lawyers, 2009). Kirsh, H. J. and Roth L. A., Kirsh and Roth: The Annotated Construction Contract (CCDC 2 – 1994) (Canada Law Book, Aurora, 1997). Kirsh H. J., ed., Annotated Stipulated Price Construction Contract (CCDC 2 – 1982) (Canada Law Book, Aurora, 1989). Kirsh, H. J., Kirsh’s Guide to Construction Liens in Ontario (Lexis Nexis Canada / Butterworths, Markham, 1st (1984) and 2nd eds. (1997) – 3rded. in preparation – to be published in 2011). Kirsh, H. J., Kirsh’s Construction Lien Case Finder (5 volumes) (Lexis Nexis Canada, Markham, from 1992 with quarterly updates). Kirsh, H. J., Casebook: From Blueprints to Buildings: Legal Issues in the Construction Industry (2 volumes) (Faculty of Law, University of Toronto, 1st ed. : 2006-2007, 2nd ed. : 2007-2008, 3rd ed. : 2008-2009). Kirsh, H. J. and Ivanoff, P., The Canadian Construction Law Dictionary (Judicially Considered) (Lexis Nexis Canada, Toronto, 2006). Kirsh, H. J., A Bibliography of Construction Law Books and Articles in Canada (Toronto, Osler, Hoskin & Harcourt LLP, 2001). Kirsh, H. J. (ed. ), Construction Liens Across Canada (Canadian College of Construction Lawyers, 2000). Kirsh, H. J., The Construction Lien Act: Issues and Perspectives (Toronto, Carswell, 1989). Kirsh H. J., Kirsh: Selected Bibliography of Construction Law Writings in Canada (Carswell, Toronto, 1988). Kirsh, H. J., Ontario Construction Lien Act Precedent Forms for Automated Word Processing (published by W.P. Legal Precedents Inc., for use on AES Systems). Editorial Board, The Advocates’ Quarterly, 1979 – 1998. Canadian Correspondent, The Jewish Law Annual, 1979 – 1990. Founding Editor, Construction Law Letter (Lexis Nexis Canada, since 1984). H. J. Kirsh (with Duncan Glaholt), “Book Review: International Construction Arbitration Handbook” (by John W. Hinchey and Troy L. Harris)”, JAMS Global Construction Solutions Newsletter, Vol. 2, No. 2 (Summer 2009) at p. 9. H. J. Kirsh, “The Dispute Resolution Provisions (Part 8) of The New Canadian Standard Construction Contract (CCDC 2-2008)” — published in 2009 ed. of Construction Law Reports. H. J. Kirsh, “Dispute Review Boards and Adjudication: Two Cutting Edge ADR Processes in International Construction” – published in Winter 2009 issue of American College of Construction Lawyers Journal. H. J. Kirsh, “Adjudication as a Method of Resolving Construction Disputes”, JAMS Global Construction Solutions Newsletter, Vol. 1, No. 1 (Fall 2008) at p. 6. H. J. Kirsh, “The Paper Trail”, JAMS Global Construction Solutions Newsletter, Vol. 1, No. 2 (Winter 2008) at p. 1. Kirsh, H. J., “A Comment on the Standard Of Care for Construction Lawyers”, Construction Law Update, Volume 7, Issue 86, May 2006. Kirsh, H. J., “Partnering As A Sword –A Case Comment”, Construction Law Update, Volume 7, Issue 86, May 2006. Kirsh, H. J., “‘Partnering Agreements’ in Construction Law Explored in recent N.B. Decision”, The Lawyers Weekly, Vol. 25, No. 36, February 3, 2006. Kirsh, H. J., “The Lien is Dead, Long Live the Lien”, The Lawyers Weekly, Vol. 24, No. 44, April 1, 2005. Kirsh, H. J., “Doctrine of ‘marshalling’ helps protect junior creditors in construction lien actions”, The Lawyers Weekly, Vol. 24, No. 41, March 11, 2005. Kirsh, H. J., “Construction Law In Outer Space”, Construction Law Update, Volume 6, Issue 71, February 2005. Kirsh, H. J., “The Equitable Doctrine of Marshalling in Construction Lien Actions” (2005), 39 C.L.R. (3d) 161. Kirsh, H. J., “The Lien Is Dead, Long Live The Lien”: Can The Equitable Doctrine Of Estoppel Resurrect Expired Lien Rights?”, Construction Law Update, Volume 6, Issue 73, April 2005. Kirsh, H. J., “Breathing Life into Lost Lien Rights: Avoiding the Implications of Clear Law”, Construction Law Update, Volume 5, Issue 68, November 2004. Kirsh, H. J., and Crewson, T. C. P., “Simplicity Begets Complexity: New Rule Raises Issues in Construction Litigation” (2004) 29 Advocates Q. 181. Kirsh, H. J., “Article: Hunter Douglas Canada Inc. v. Skyline Interiors Corp.”, Legal Update, The Canadian College of Construction Lawyers Newsletter, L.U.C. #40 . Kirsh, H. J., “Six Tips Regarding Construction Claims”, Construction Law Update, Volume 5, Issue 62, May 2004. Kirsh, H. J., “Managing ‘Pass-Through’ Construction Claims”, Construction Law Update, Volume 2, Issue 54, September 2003. Kirsh, H. J., “Recent Ontario Construction Lien Decisions Of Note”, Construction Law Update, Volume 2, Issue 49, April 2003. Kirsh, H. J., “Construction-related damages often difficult to assess”, The Lawyers Weekly, Vol. 22, No. 43, March 21, 2003. Kirsh, H. J., “‘Pass-Through’ Construction Claims”, Legal Update, The Canadian College of Construction Lawyers Newsletter, L.U.C. #25 . Kirsh, H. J., “Arbitration in the Construction Industry”, Vol. 10, No. 2, Canadian Arbitration Journal (a publication of the Arbitrators’ Institute of Canada Inc.), at p. 20. Kirsh, H. J., “Arbitration of Disputes”, Vol. 3, No. 3, “Construction Update” (a publication of the Canadian Construction Association), at p. 10. Kirsh, H. J., “Construction Arbitration under the I.C.C. Rules”, in The Six-Minute Construction Lawyer (The Law Society of Upper Canada, Toronto, 2002). Kirsh, H. J., “Construction Arbitration Under the International Chamber of Commerce Rules”, Osler Construction Briefing, Summer 2002. Kirsh, H. J., “Can Damage Awards Be Reduced by Other Funds? : U.S. and Ontario Cases Raise Key Issues”, Osler Construction Briefing, Spring 2002. Kirsh, H. J., “Should restoration fund be set off against damages?”, The Lawyers Weekly, Vol. 21, No. 42, March 15, 2002. Kirsh, H. J., “Synagogue Fire Caused By Negligence: Can Donations For Restoration Be Set Off Against Damages?”, Construction Law Update, Volume 2, Issue 35, February 2002. Kirsh, H. J., “Limitation of Liability Clauses Impact Other Litigants”, “Construction Briefing” Newsletter (Winter 2001 Issue), at p.1. Kirsh, H. J., “Errors and Omissions in Construction Lien Litigation” in The Essential Curriculum in Construction Law: Three Key Courses(Osgoode Hall Law School, Toronto, 2001). Kirsh, H. J. (with Brian Morgan and Mahmud Jamal), “Liening Airport Lands”, in 4th Annual Conference (Canadian College of Construction Lawyers Inc., Toronto, 2001). Kirsh, H. J., “Arbitral Immunity of Design Consultants”, Pipeline (Mechanical Contractors Association of Toronto, 2001), Vol. 3, No. 3, Summer 2001. Kirsh, H. J., “Resolving Disputes: When Arbitral Immunity Protects Design Consultants”, Osler Construction Briefing, Spring 2001. Kirsh, H. J., “Constitutionality of U.S. Liens in Doubt”, The Lawyers Weekly (March 16, 2001 Issue), at p.16. Kirsh, H. J., “10 Tips Regarding Construction Claims”, in Hot Topics in Ontario Construction Law (Lorman Education Services, Eau Claire, Wisc., 2000). Kirsh, H. J., “Design-Build: A Better Way of Project Delivery?”, Pipeline (Mechanical Contractors Association of Toronto, 2000), Vol. 2, No. 2, Spring 2000. Kirsh, H. J., “Design-Build”, “Construction & the Law” (Fall 1998 issue) at p.1. Kirsh, H. J., “A Layman’s Guide to the Construction Lien Act”, Landacape Trades Magazine (June 1997), at p. 23. Kirsh, H. J. and Roth, L. A., “Breach of Trust in the Construction Industry”, International Financial Law Review (September 1997), at p. 52. Kirsh, H. J., “Litigation of Construction Claims”, “Construction & the Law” (Fall 1997 issue) at p.1. Kirsh, H. J., Case Comment: “D. W. Buchanan Construction Ltd. v. The Corporation of the Township of Bruce” (1996), 27 C.L.R. (2d) 180. Kirsh, H. J., “Ask a Lawyer” (answers to questions on construction lien issues), in Managing Underground Construction, the 25thAnniversary Magazine of the Ontario Sewer and Watermain Contractors’ Association (January, 1996). Kirsh, H. J., Case Comment: “City Accoustics Ltd. v. Waterloo Region Roman Catholic Separate School Board” (1995), 20 C.L.R. (2d) 156. Kirsh, H. J., “A Commentary on Setting a Construction Lien Action Down For Trial”, (1995), 17 Advocates’ Q. 393. Kirsh, H. J., “Competing Priorities: Lien and Trust Claims versus Revenue Canada’s Superpriority”, Canadian Current Tax (May,1995), Vol. 5, No. 8, page 73. Kirsh, H. J., “Contractor Successfully Sues Consultant for Libel”, “Construction and the Law” (Summer 1995 issue), at p. 1. Kirsh, H. J., “The Eichleay Formula” (1993), 2 C.L.R. (2d) 236; (1995). Kirsh, H. J., “Due Process and Ontario’s Construction Lien Act”, (1995), 17 Advocates’ Q. 257. Kirsh, H. J., “Errors and Omissions in Construction Lien Litigation” (1995), 19 C.L.R. (2d) 160. Kirsh, H. J., “Ontario Hydro and the Construction Lien Act”, (1995), 17 Advocates’ Q. 199. Kirsh, H. J., “Bid Not Complete Without Scheduling”, Toronto Construction News (The Official Journal of the Toronto Construction Industry), Jan./Feb. 1994, at p. 18. Kirsh, H. J., Book Review: “Scott and Reynolds on Surety Bonds”, Vol. 10, No. 6 (July/August 1994), Construction Law Letter, Supplement p. i.
Kirsh, H. J., Editorial Note: “Home Buyers Beware !”, Vol. 10, No. 6 (July/August 1994), Construction Law letter, Supplement pp. iii-iv. Kirsh, H. J., “The Purchaser as Statutory Owner under Ontario’s Construction Lien Act” (1994), 15 C.L.R. (2d) 203. Kirsh, H. J., “Uncertainty about Construction Lien Act two-year expiry resolved”, Errors & Omissions Bulletin” published by Lawyers’ Professional Indemnity Company (Vol. 4 No. 2 – November 1994). Kirsh, H. J., “Update on Construction Lien Act”, “Errors & Omissions Bulletin” published by Lawyers’ Professional Indemnity Company (Vol. 3 No. 6 – June 1994). Kirsh, H. J., “Judge Awards Proceeds of Sale to Subcontractors”, Toronto Construction News (The Official Journal of the Toronto Construction Industry), Jan./Feb. 1994, at p. 18. Kirsh, H. J., “Making the Landlord Liable for Work Ordered by Tenant”, “Construction and the Law” (Winter 1994/5 issue), at p. 1. Kirsh, H. J., “‘Pay When Paid’ Clauses and the Construction Lien Act”, June 15, 1993 issue of “Generals’ Action Data”, a newsletter of the Ontario General Contractors’ Association. Kirsh, H. J., “Carrying a Sub-Trade’s Bid – Does It Create a Binding Subcontract?”, in Pipline (newsletter of the Mechanical Contractors Association (Toronto, June 1993). Kirsh, H. J., “Construction Litigation: Tips from the Experts” (1993), 4 C.L.R. (2d) 294. Kirsh, H. J., Editor’s Note: “878104 Canada Inc. c.o.b. M.E.L. Construction v. DuPont Canada Inc. et al” (1993), 4 C.L.R. (2d) 196. Kirsh, H. J., “Progress Payments and ‘Written Notice of a Lien’” (1993), 8 C.L.R. (2d) 86. Kirsh, H. J., “Revenue Canada Attemps to Seize Lien Trust Funds in Place of Tax Deductions”, Vol. 8, No. 5 (May/June 1992), Construction Law Letter, p. 8. Kirsh, H. J., “Update On Recent Reported And Unreported Cases”, in Construction Liens In The 90s (Insight, Mississauga, 1992). Kirsh, H. J., Annotation: “G. C. McDonald Supply Ltd. v. Preston Heights Estates Ltd.” (1992), 1 C.L.R. (2d) 158. Kirsh, H. J. [et al. ], “Tips From The Experts”, in Construction Liens In The 90s (Insight, Mississauga, 1992). Kirsh, H. J., Annotation: “601039 Ontario Ltd. v. Meadowvale Green Phase I Ltd.” (1992), 47 C.L.R. 135. Kirsh, H. J., “What You Don’t Know Can Hurt Your Clients – Sizing Up the Impact of the Construction Lien Act”, “Mortgage Brokers” magazine (Vol. 13, No. 3, October 1992). Kirsh, H. J., Annotation: “612354 Ontario Ltd. v. Tonecraft Corp.” (1992), 47 C.L.R. 229. Kirsh, H. J., “Construction Lien Litigation: Mistakes Lawyers Make and How to Avoid Them”, (1991-92), 13 Advocates’ Q. 308. Kirsh, H. J., Book Review: “Macklem and Bristow, Construction, Builders’ and Mechanics’ Liens in Canada (6th Edition)”, Vol. 7, No. 3 (Jan./Feb., 1991), Construction Law Letter, at p. 1, Supplement. Kirsh, H. J., “Architects and Construction Lien Holdbacks”, Vol. 6, No. 3 (Jan./Feb., 1990), Construction Law Letter, at p. 1. Kirsh, H. J., “Construction Lien Considerations in Construction and Development”, in Avoiding And Litigating Real Estate Disputes (Critical Issues Series, Insight Press, 1990). Kirsh, H. J., “Construction Lien Properly Perfected on 93rd (Not 90th) Day” (1989), 31 C.L.R. 34. Kirsh, H. J., “Arbitrating Construction Disputes”, in Commercial Dispute Resolution: Alternatives to Litigation (Canada Law Book, Aurora, 1989) 175. Kirsh, H. J., “Construction Lien – Defective Affidavit of Verification” (1988), 28 C.L.R. 187. Kirsh, H. J., Annotation: “Adam Clark Co. (1982) v. International Nickel Co. of Canada” (1987), 24 C.L.R. 153. Kirsh H. J., and Macklem, D. N., Annotation: “Trane Can. Inc. v. George Evans Co.”(1987), 22 C.L.R. 18. Kirsh, H. J., “Can a Lien Be Postponed to an Advance Under a Building Mortgage?” (1987), 22 C.L.R. 290. Kirsh, H. J., “Annotated Cases on Bank Liability for Breach of Lien Trust” (1987), 22 C.L.R. 97. Kirsh, H. J., “Liability of Lawyers Under Section 35 of the Construction Lien Act: One Case in Point” (1987), 21 C.L.R. 290. Kirsh, H. J., “Construction Lien Considerations In The Construction And Development Of Real Estate Projects”, in Real Estate Development And Construction Financing (Insight, Toronto, 1987). Kirsh, H. J., Annotation: “J.W. Galloway Roofing v. Gary Eddie Construction Ltd. et al”, (1986), 14 C.L.R. 2. Kirsh, H. J., “General Contractor or Project Manager?”, Construction Law Letter, Vol. 2, No. 4 (March/April 1986). Kirsh, H. J., “Some Good Reasons to Use Arbitration for Construction Disputes” (1986), Vol. 4, No. 2 Toronto Construction News 45. Kirsh, H. J., “The Arbitration of Construction Disputes” (1986), Vol. 2, No. 1 C.L.J. 1. Kirsh, H. J., Annotation: “Oliver v. Muer Construction Ltd.”, (1985), 12 C.L.R. 1. Kirsh, H. J., “The Arbitration of Construction Disputes”, in “Construction Law – Construction Disputes and Litigation, a Compendium”, 1985 Annual Meeting Papers, Canadian Bar Association. Kirsh, H. J., “Construction Arbitration”, in “Canadian Construction Law — Practical Approaches to Selected Issues” (Insight Educational Services Ltd., September 30,1985). Kirsh, H. J., “Crown Lands and the Construction Lien Act” (1985), 7 C.L.R. 109. Kirsh, H. J., “An Introduction to Construction Liens in Ontario” (1985), Vol. 17, No. 3 The Land Economist 2. Kirsh, H. J., “To Arbitrate or Litigate”, Vol. 5, No. 20 (September 27, 1985), Ontario Lawyers Weekly, at p. 10. Kirsh, H. J., Annotation: “T.L. Raymond Electric (London) Ltd. v. Idylwild Home Ltd. c.o.b. Idylwild Rest Home et al”, (1985), 7 C.L.R. 210 at 211. Kirsh, H. J., “The Effect of Ontario’s Courts of Justice Act, 1984, upon the Construction Lien Act, 1983” (1985), 9 C.L.R. 170. Kirsh, H. J., “Whether to Arbitrate a Construction Dispute”, Construction Law Letter, Vol. 2, No. 2 (October 1985). Kirsh, H. J., “Interlocutory Proceedings and Cross-Examinations Under the Construction Lien Act”, Insight Educational Services Limited, “Practical Applications of the Construction Lien Act”, June 11, 1984. Kirsh, H. J., “The General Lien Under the Construction Lien Act” (1984), 6 C.L.R. 1. Kirsh, H. J., “Labour and Material Payment Bonds and the Construction Lien Act” (1984), 5 C.L.R. 83. Kirsh, H. J., “Landlord and Tenants as Statutory Owners Under the Construction Lien Act” (1984), 1 C.L.R. 240. Kirsh, H. J., “Appointment of Trustee under the Construction Lien Act” (1984), 5 C.L.R. 9. Kirsh, H. J., Annotation: “Norwon Electric Sault Co. v. Ross”, (1984), 7 C.L.R. 2 at 3. Kirsh, H. J., “The Impact of the Construction Lien Act Upon Mortgage Lenders” (1983), 4 Advocates’ Q. 211. Kirsh, H. J., “New Construction Lien Act Helps Construction Trades”, Ontario Lawyers’ Weekly, July 29, 1983, p. 10. Kirsh, H. J., “The Constitutional Validity of References to the Master Under the Construction Lien Act” (1983), 4 Advocates’ Q. 479. Kirsh, H. J., Annotation: “Steeltown Construction Ltd. v. Fremont Estates Ltd.”, (1983), 1 C.L.R. 33 at 34. Kirsh, H. J., “The Construction Lien: An Overview”, published by The Law Society of Upper Canada in connection with a continuing legal education programme on the Construction Lien Act, 1983, held April 8 and 9, 1983. Kirsh, H. J., “Expiry, Preservation and Perfection of Construction Liens” (1982), 3 Advocates’ Q. 469. Kirsh, H. J., “The Concurrent Maintenance of a Mechanics’ Lien Action and an Action Commenced by a Writ for the same Claim” (1979), 2 Advocates’ Q. 107. Kirsh, H. J., “The Concurrent Maintenance of a Mechanics’ Lien Action and an Action Commenced by a Writ for the Same Claim — A Further Comment” (1981), 3 Advocates’ Q. 118. Kirsh, H. J., “The 90-Day Period Under Ontario’s Mechanics’ Lien Act: When Does it Commence to Run?” (1979), 2 Advocates’ Q.211. Kirsh, H. J., “The Liability of Libraries for Libel”, Vol. 10, No. 4 N.S. (August/October 1985) Canadian Association of Law Libraries Newsletter/Bulletin, at p. 122. Kirsh, H. J. (with Harry Radomski), “The Removal of County Court Actions to the Supreme Court of Ontario’”, 2 Advocates’ Quarterly 28 (1979). Kirsh, H. J., “Considerations Relating to The Interest Act and Pre-Judgment Interest Under The Judicature Act”, 3 Advocates’ Quarterly 103 (1981). Kirsh, H. J., “Comment: Fire Insurance – Insurable Interest of Trustee Holding Property for Benefit of Another Where Insurance Policy Limits Liability of Insurance Company to ‘The Interest of the Insured in the Property’”, 52 Can. B. Rev. 305 (May, 1974). Kirsh, H. J., “Film Censorship: The Ontario Experience”, 4 Ottawa Law Review 312 (Summer 1970). Kirsh, H. J. (with L.C. Larry), “The Men with the Scissors” (2 parts), 19 Chitty’s Law Journal 73 et seq. (March 1971) and 111 et seq. (April 1971). Kirsh, H. J. (with L.C. Larry), “Auction Sales”, 21 Chitty’s Law Journal 307 (November, 1971). Kirsh, H. J., “Solicitor-Client Privilege as it Relates to Accountants”, 21 Chitty’s Law Journal 191 (1973). Kirsh, H. J., “Conflict Resolution and the Legal Culture: A Study of the Rabbinical Court”, 9 Osgoode Hall Law Journal 335 (1971). Kirsh, H. J. (with Leslie S. Rothenberg), “Bibliography of Jewish Law Articles in Selected Law Journals”, 3 The Jewish Law Annual 245 (1980). Kirsh, H. J. (with A. Farber), “The History of Legal Art in Upper Canada”, unpublished paper, York University Law Library, 1979. Kirsh, H. J., “Prisons: Why do we have them? What should they do?”, Canada and The World, Vol. 38, No. 7 (March 1973) at p.14. Kirsh, H. J., “In Memoriam: Barry Torno”, published in Intellectual Property Journal (1985). · Mechanical Contractors Association (Toronto). Chairman, “The Best of Times, The Worst of Times — Construction Liens in the 90’s”, sponsored by Insight Educational Services, May 7, 1992, Toronto. Chairman, “Recent Developments in Construction Lien Litigation”, sponsored by Insight Educational Services, April 18, 1991. Chairman, “The Construction Lien Act: Five Years After”, sponsored by Insight Educational Services, May 19, 1989, Toronto. Course Director, Construction Lien Law Seminar, sponsored by The Centre for Professional Education, March 27, 1985, Toronto. Course Director, Construction Lien Law Seminar, sponsored by The Centre for Professional Education, March 26, 1986, Toronto. Chairman “Canadian Construction Law – Practical Approaches to Selected Issues”, sponsored by Insight Education Services Ltd., September 30, 1985, Toronto. Special Lecturer on “Construction Liens”, Bar Admission Course, Law Society of Upper Canada, 1985-1986. Moderator, Videotape Presentation on “Construction Liens”, August, 1985, sponsored by Law Society of Upper Canada. Chairman, Panel Discussion on “Prosecuting and Defending Construction Claims”, November 12, 1985, sponsored by the Construction Law Section, Canadian Bar Association (Ontario). Chairman, Panel Discussion on “Construction Arbitration”, January 27, 1986, sponsored by the Construction Law Section, Canadian Bar Association (Ontario).